… you don’t see one for ages then two come along at once! 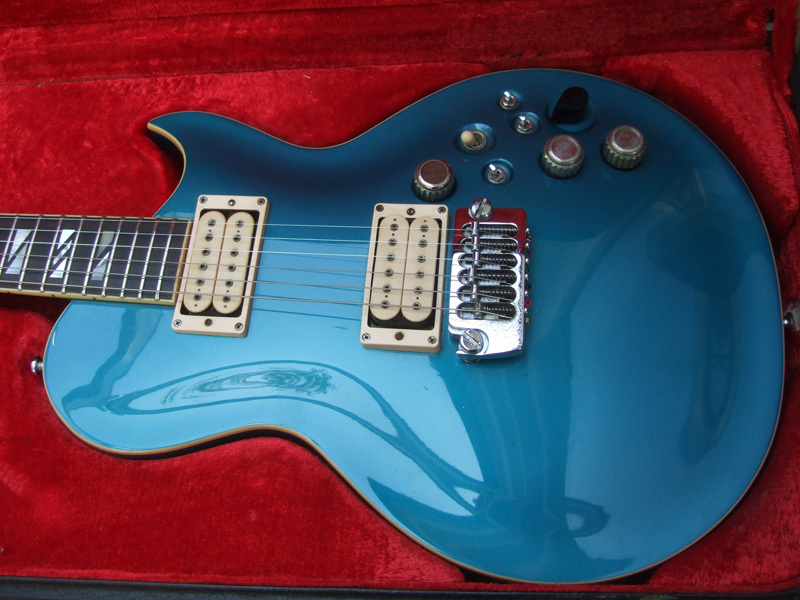 Although I used to own one of the original PE-1000 guitars and wish I’d never parted with it, I can’t ever recall seeing one of the blue Gerry Cott signatures before. In the space of two weeks however, I have worked on two of these great guitars. Both guitars had new nuts fitted and the lower one (which is missing the original fitted case) also got a partial refret. The active boost switch on these guitars is pretty brutal and will push just about any amp into overdrive! who owns the second guitar, with the black pick ups? it’s be great to have a chat and compare guitars! Great job on the new nut, set up and fret polish by the way! Glad you like the blue guitars. I still have two – both in excellent working order and they won’t be going on tour anytime soon. 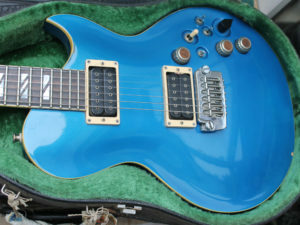 How are you?i have one of your aria gutars in blue with black pickups serial no.005015 do you know how many were made?its an excellent guitar and i love the boost its dope,unfortunatly i have fallen on hard times and am going to have sell it along with most of my collection!boohoo.take care and all the best with your tours. I’d be interested in your guitar if you want to sell. But Blue PE 1000 Gc is all of my love. Best regards to all, keep on r.
I too bought my blue PE1000GC in 198? something after tracking one down at the Aria UK Importers. Borrowed the money from my bemused Grandmother who preferred Gilbert and Sullivan to the Boomtown Rats. They sent me a few papers to say it was no1 in the series and that the man himself had played it. Still have it today and would be really interested in knowing any more about it. 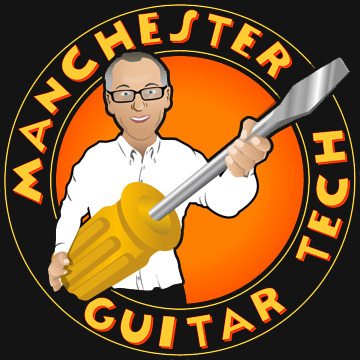 Sadly I am still only a novice guitarist but am still a massive fan of the Rats and Mr C.
Before you replace the switch, try some dry lubricant such as Interflon Fin to see if you can free it. If you can’t then I recommend you photograph and/or draw the switch connections carefully so that you have a guide for wiring the new switch. I have an original PE1000 which is “unmolested”. Send me a photo of the area and I will photograp mine for you. Can anyone tell me what kind of bridge is on these guitars? I need to replace bridge on my Aria Pro 2 Korean made. It’s a cheaper version and bridge causes string cracking due to sharp striking angles.